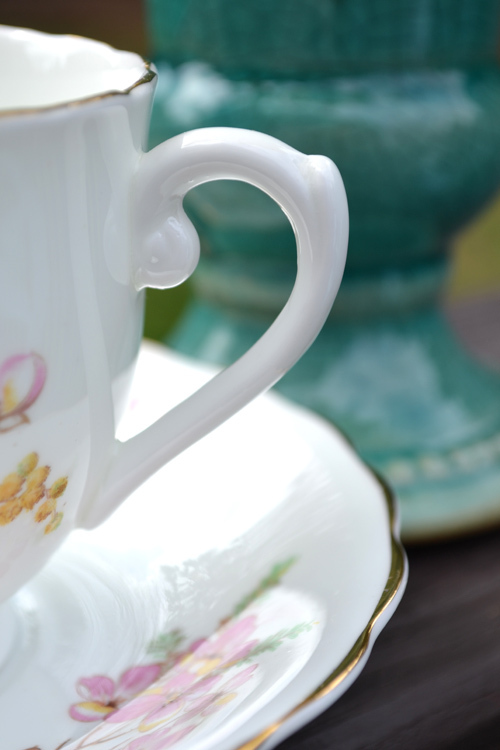 Artful Affirmations: Tea Cup Tuesday-Sweet Gift! What a pretty post Terri! Lots of buds and early flowers here too but it is way too cold still. Happy soldering! I so miss our cherry tree. The blossoms on your teacup will last forever. Happy Spring! Your flowers are way ahead of ours! My daffs & tulips are just a few inches of green yet. The teacup is so pretty. 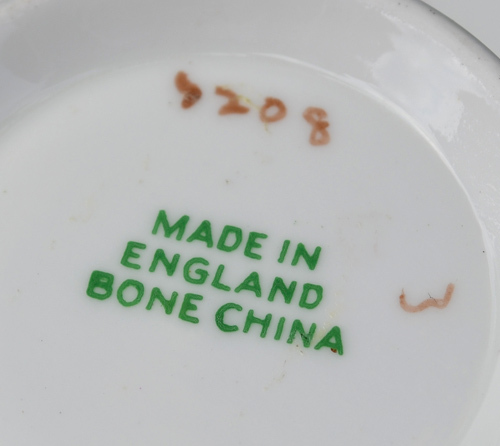 The teacup was probably a commission for another potter, and occasionally potters would share facilities and some didn't have well known names. You do see them sometimes. Have a great day! What a beautiful post Terri honey! How lovely your flowers are, along with such a pretty teacup. 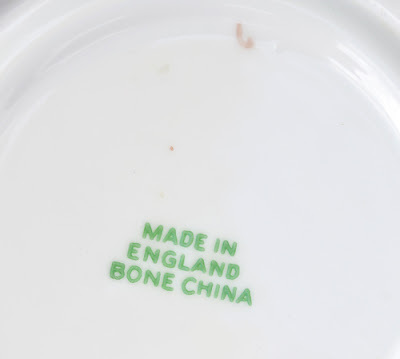 Who cares, your teacup is a treasure, I don't know much about names on the porcelain, I just like them and that's it... lol! Thanks pretty lady for your lovely visit. Have a super week. I am in the south of France for the moment and the weather is beautiful! High in the mountais it is stil freezing the noghts but during the day you can simply wear a t shirt. I love this season! And your teacup!! 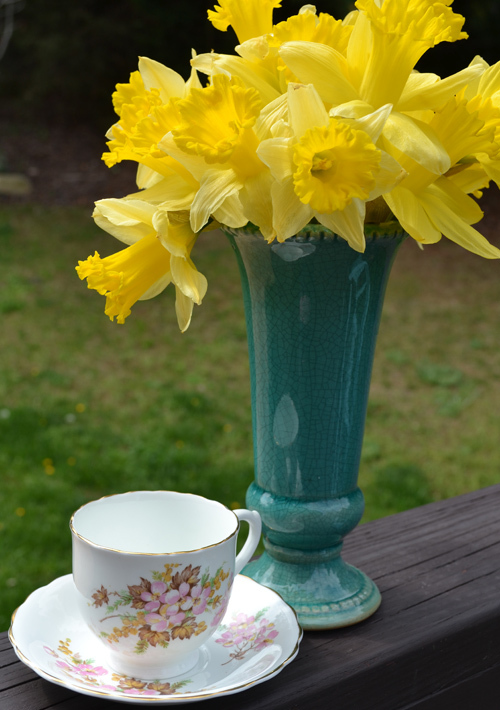 What a lovely tea post welcoming Spring! Those cherry blooms are beautiful, they are a bit late in my garden this year. The tea cup is a beauty, too, but I don't know the reason why it has no maker's mark. Ruth's explanation seems right to me, though. I'm sorry, but something happened with my entry and the picture doesn't show up. I've already tried to repeat it but Linky Tools doesn't allow it. Do you know what I can do? oh my, what a beautiful teacup! 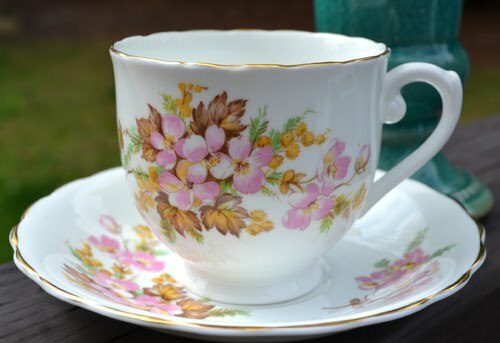 i agree that the lovely pink blossoms is like spring but the leaves bouquet reminds me of fall, what a special teacup and beautiful too!Thank you for sharing and hosting teacup tuesday! 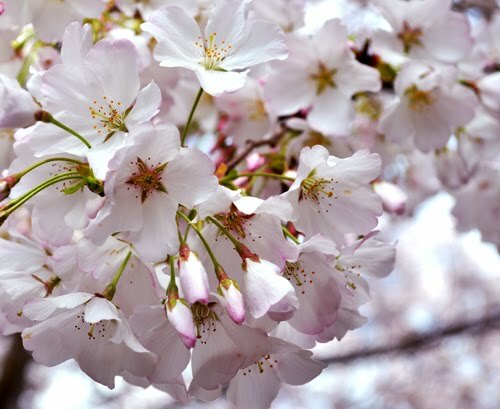 Terri, your cherry blossoms are gorgeous and I can just imagine their scent! Love the daffodils too. Your new cup is very pretty and a treasure. Thanks for sharing with us and Happy Spring! This is one stunning cup and so nice it came from another tea lover. Your flower buds are lovely too. Have a great week. I love the beautiful cherry blossoms and the beautiful gifted cup. Your photos are magnificent! Thanks for hosting today's tea. soo beautiful! what a delightful way to celebrate the start of a season!! Terri, what a blessing to have such loveliness to celebrate the beginning of spring! The photos of your cherry blossoms are breathe taking. Sweet pretty cup, Terri. Yes, the colors give it that Fall/Spring air about it. We're having a delightful thunderstorm here, too. Your cherry blossoms are so beautiful. I've never been around real ones. I imagine they do have a lovely scent. Looking forward to seeing your soldering projects. 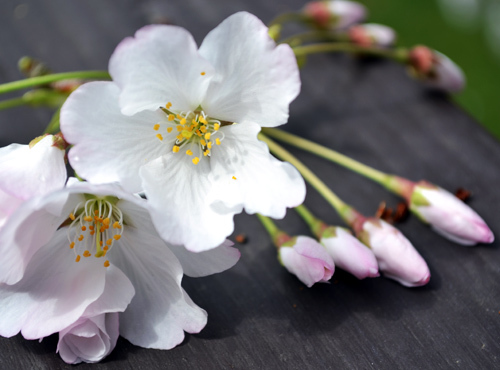 oh my, this cherry blossoms are so delicate and beautiful. I love this photo. Your tea cup is a tresure, too. I think, the colors and materials are so shiny, when you take photos outside. It is a completely different light. It brightens the soul, too. Wow..such a super beautiful post! gorgeous daffs!! lovely setting...very inspiring..and dazzling tea cup of course! Happy Spring, milady! I posted early this morning and linked in - and am only now getting to visit as I had to rush about to be ready for a tea party this morning. Photographed it and will show and tell all about it next week! Great to start the season off with beauty and a cup of tea . . . lovelies in your garden and on your table today! Your teacup is lovely! it is perfect for spring. Thanks for hosting! That cup is very cottage cute! Lovely! Terri...oh you are making me want springtime so much! Love your beautiful photos! 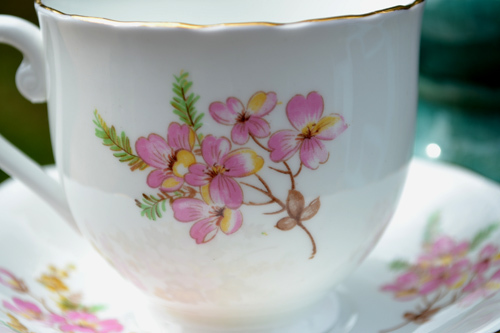 Such a beautiful tea cup and perfect for the start of Spring!! That was lovely, Terri! I enjoyed the post a lot and your cup is so beautiful!